Need a taping bible? Our manual includes more than 60 taping methods, with detailed instructions on how to prepare and apply the tapes, with video tutorials available through QR codes or in the DVD. 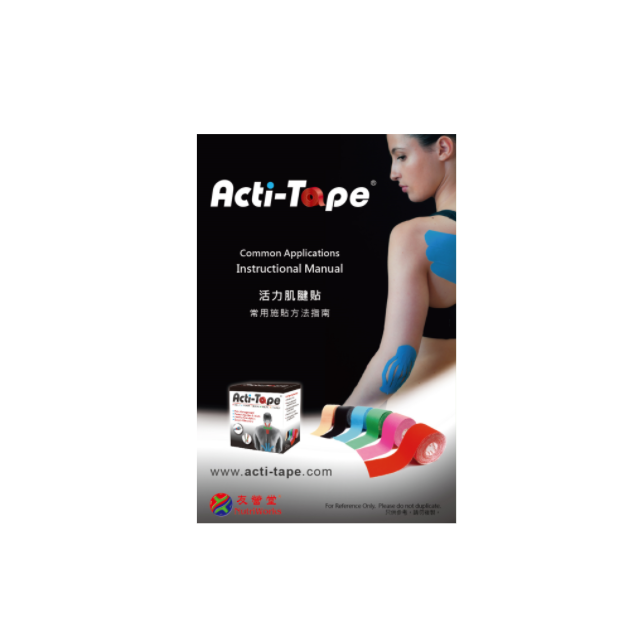 A manual of taping applications and instructions. Available in both Chinese and English.